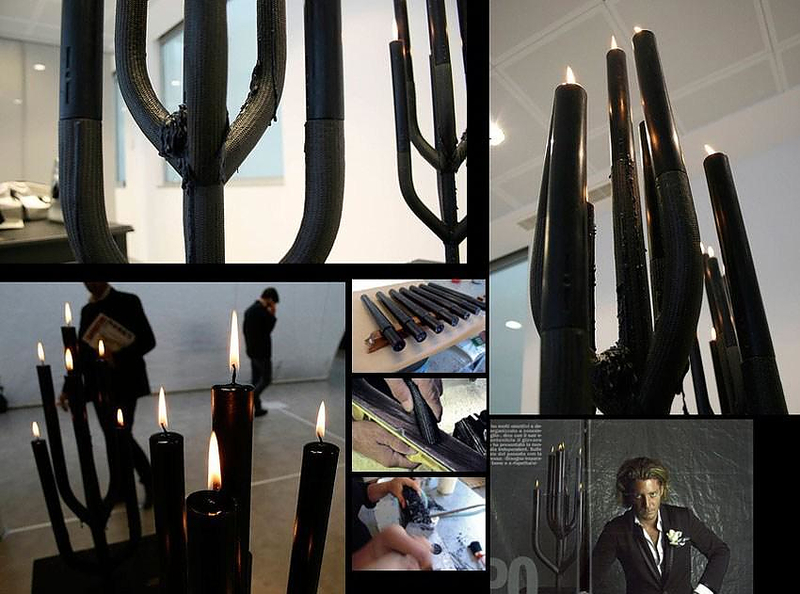 HomeBlogHome DecorCarbon Fiber Candle Holders by Italia Independent. 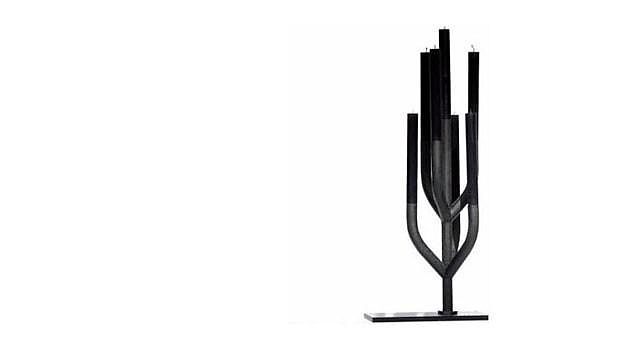 The futuristic Candelabro Single and Candelabro 7 candle holders by Italian company Italia Independent are hand-made from solid carbon fiber and introduce the technological materiality of carbon to the classical object of candelabrum. 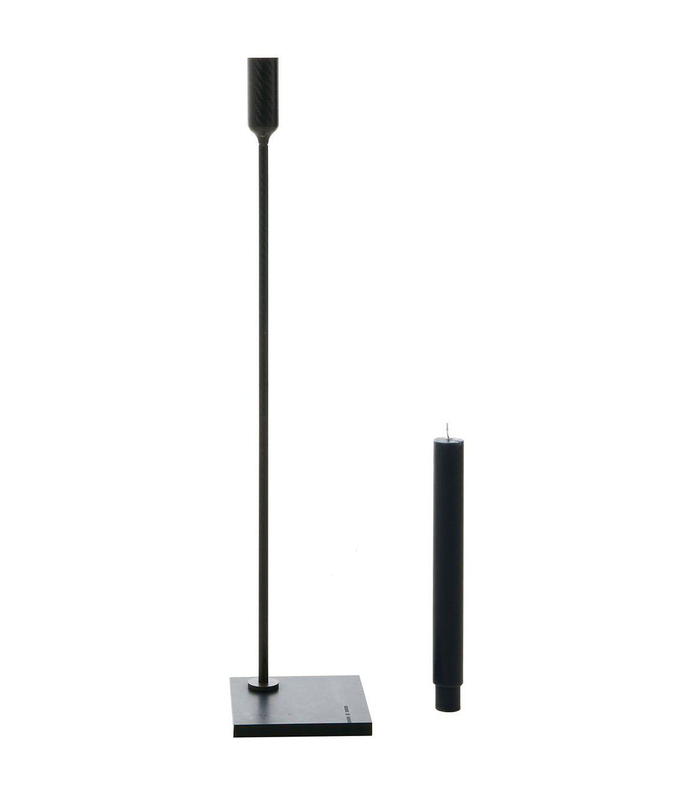 The concept behind the use of an exotic material such as carbon fiber for the construction of a candle holder was the contrast of the old with the new. 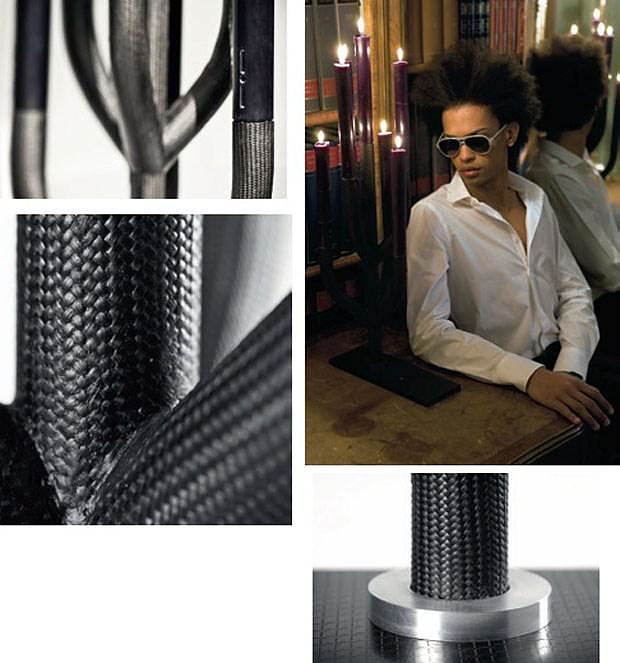 In this case, the technical specifications of the material do not add something to the usability of the object, but the Hi-Tech look of carbon fiber is in direct contrast to the nostalgic and retro candle lighting, resulting in a uniquely artistic and striking stylistic effect. 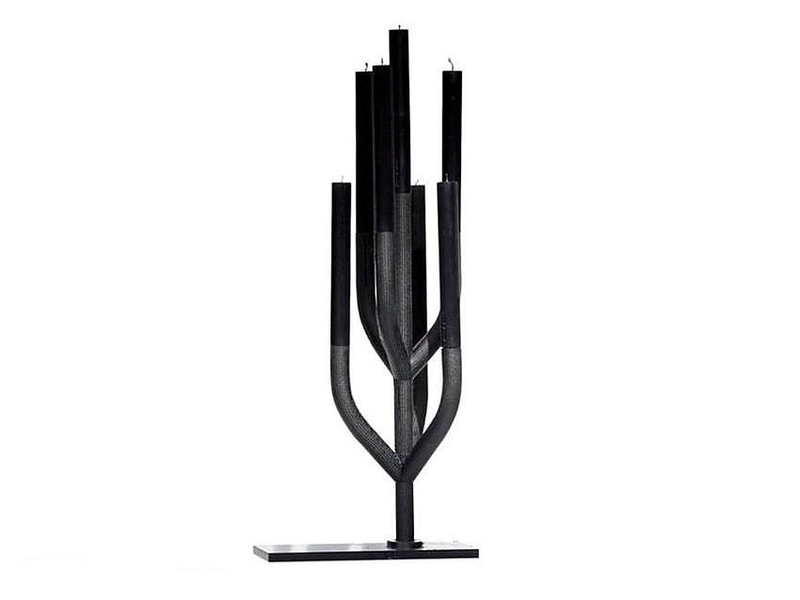 The series includes four different candle holders, the three of which are for a single candle and very minimalistic, but perhaps the most impressive part of the series is the impressive chandelier with the seven branches. 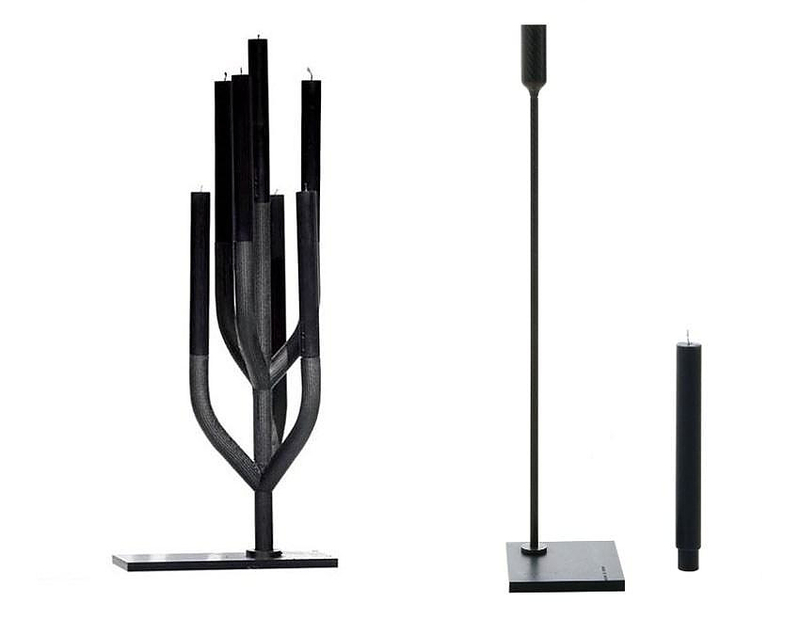 The unique candleholders will add a distinctive touch to any interior, their Hi-Tech material allows the to blend perfectly to modern interior, while their slim black silhouette will also match classic interiors. 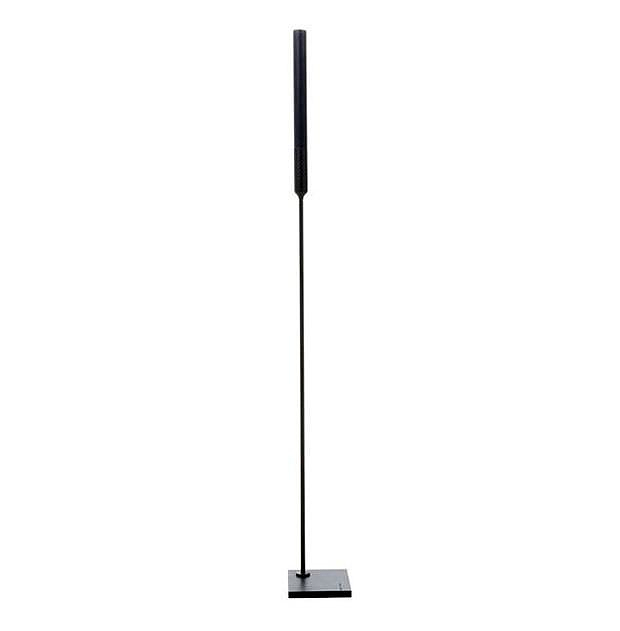 An ideal gift for collectors and connoisseurs of good taste. 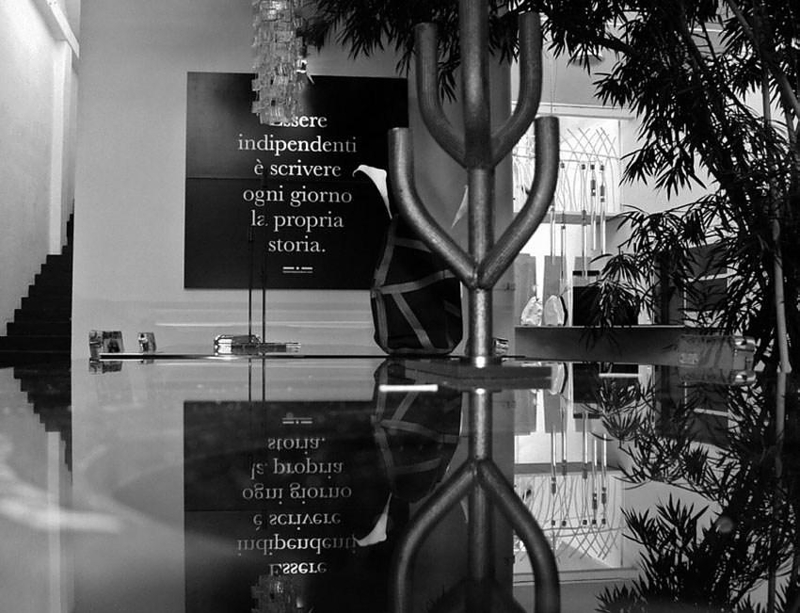 Italia Independent is a relatively new company with progressive ideas that mainly deals with the manufacture of clothes from high-tech materials. 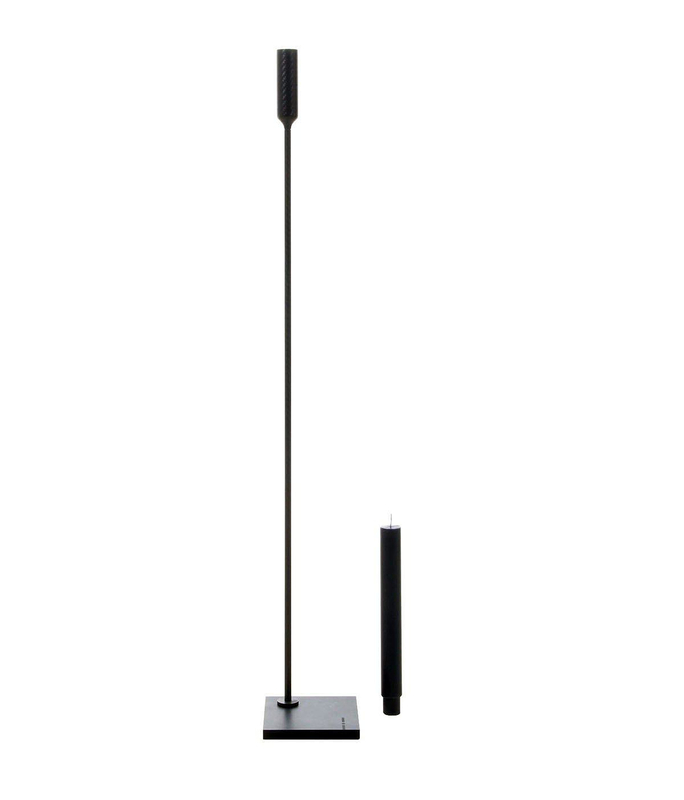 However, in the range of products, there are some decorative objects, which are very eccentric and are produced in limited quantities. 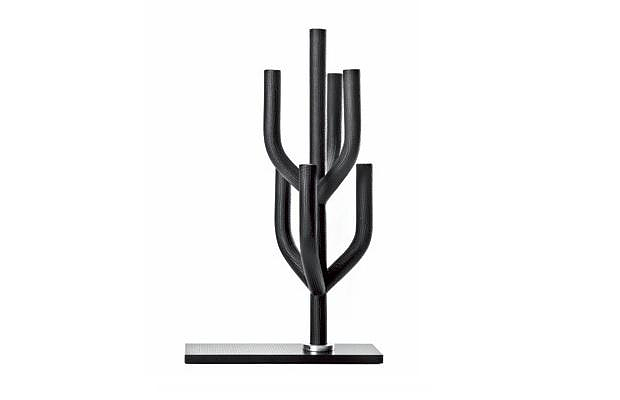 The Candelabro Single with a single candle is available in three different heights, two of them are intended for tabletop use, while the third model is a freestanding candleholder, the Candelabro 7 comes in one size for tabletop use. 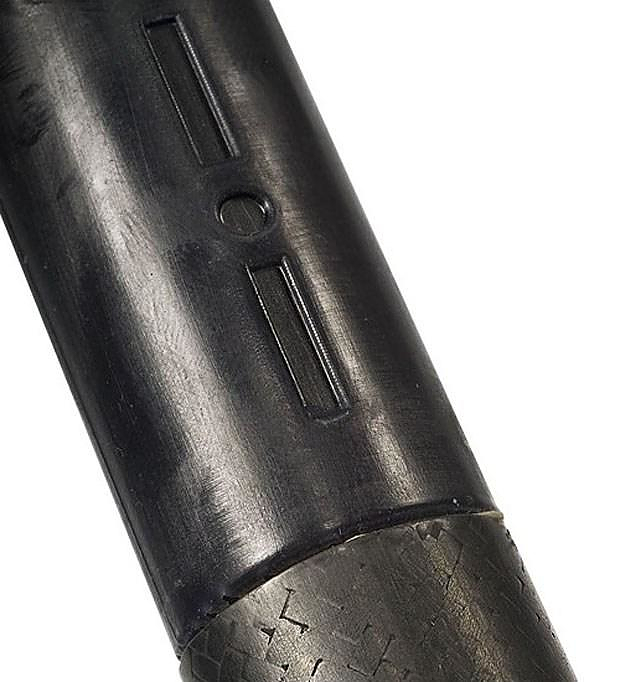 Although it is a relatively small company and carbon fiber is difficult to process, Italia Independent makes several objects from this exotic material, which is characterized by excellent finish and high quality. This is probably because it belongs to well-known Italian industrialist Lapo Elkann, who, inter alia, owes the well-known car brands Ferrari and Maserati, which lend their expertise.